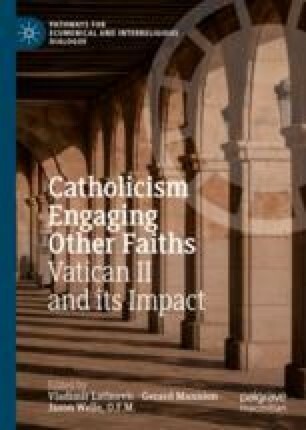 The author discusses the nature and aims of interreligious dialogue, both from the standpoint of theological developments in the Roman Catholic magisterium and in terms of concrete initiatives to develop interreligious relations. Special attention is given to Vatican II’s Nostra Aetate and its implications. The author describes bilateral (Christian-Buddhist, Christian-Jewish, Christian-Muslim, etc. ), trilateral and multilateral dialogues, as well as the benefits and drawbacks of these different approaches. Some specific examples of such dialogue are given, in particular those in which the Pontifical Council for Interreligious Dialogue has been involved. The author understands interreligious dialogue as a service to the truth, aiming to preserve and promote freedom, justice, and peace for the benefit of the whole of humanity.